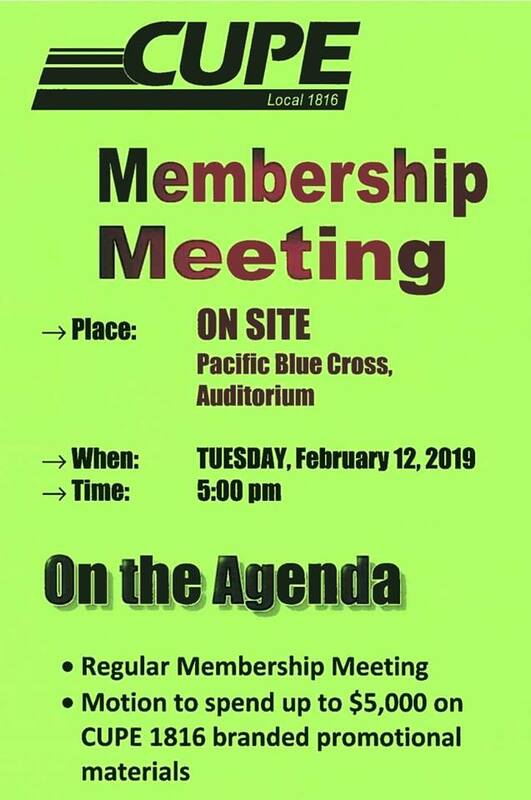 Come out on Tuesday to vote at the PBC AGM! The time has come to finish what we started last year! 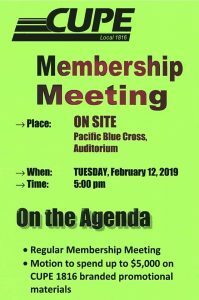 Please spread the word by talking to your co-workers and other PBC Members. We need to make a strong showing again this year. CUPE 1816 members are invited to join our Facebook group.